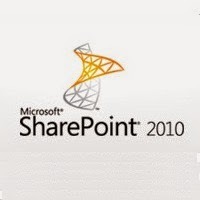 Also had to disable port 987 to block internet access to SharePoint, which wasn't used on that site. Trustwave's detection is flawed. They simply mis-detected our version number. Their scan process is also flawed. They're scanning a server behind the same NAT. That server doesn't need to be PCI compliant. Unfortunately, their support is flawed too. They don't understand networks or technology, and won't escalate technical issues. I'm disgusted that they're selling "trust" -- more like fear. No wonder CC compromises are so common these days.